Maintaining good oral hygiene habits after getting braces can be a challenge but are important to keep up on strong teeth and healthy gums. Without proper oral health care, your teeth can become discolored or decay and you may develop gingivitis or periodontal gum disease. Using a toothbrush with soft bristles will help you to reach behind the brackets of the braces to clean the teeth. Be sure to angle the brush appropriately to reach all tooth surfaces. Additionally, soft bristles are less likely to irritate the gums. While most people can expect to replace a toothbrush every three months, this can occur quicker for those who wear braces. When bristles begin to show fraying or other signs of wear, it is time for a new toothbrush. Flossing needs to be done on a daily basis. A special floss threader is used to get the dental floss under the brace wires. Floss as you normally would to help remove plaque and bacteria from between teeth. 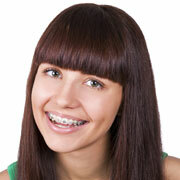 After flossing, rinse your mouth to remove loosened food particles and plaque from the braces and your teeth. 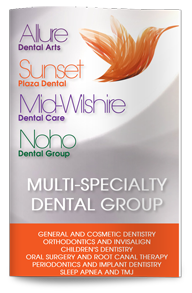 You can use an antibacterial mouth rinse if dentist recommended. In addition to taking good care of your teeth at home, be sure to see our dentist in West Hollywood for regular examinations to detect potential problems early. The dentist can also provide you with good recommendations on improving at-home care of your teeth while wearing braces and once they are removed.